Captured Moment Terms of Service. 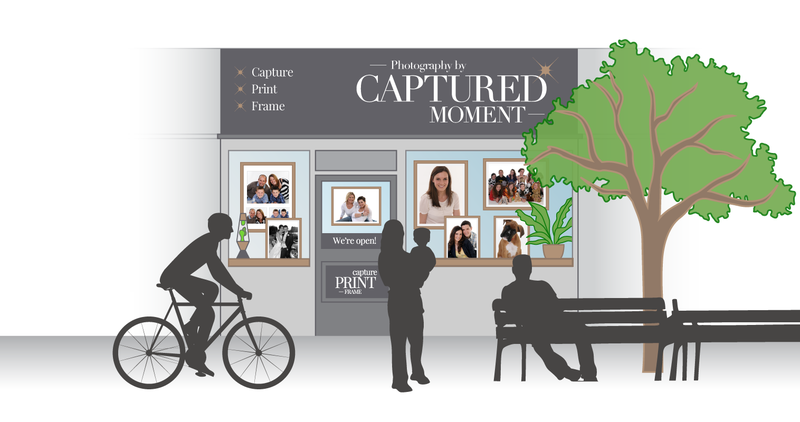 Captured Moment reserves the right to change prices, services available at any time without notification. Terms and Conditions are subject to change without notification. Please feel free to print our current terms. No member of staff has the right to make any verbal offer that is contrary to the terms and conditions contained in this document. Alternate conditions must be requested in writing and be signed by both parties. If you are uncertain of any of our terms please speak to Kevin Whibley for clarification. Portrait sittings must be booked in advance. All our sittings are subject to availability. Our standard portrait sessions last up to ninety minutes and include the viewing of your images. This is normally split into up to thirty minutes in the studio and up to sixty minutes viewing time. Some shoots can be as quick as five minutes others may take more than thirty minutes as all situations are different. Our standard portrait sitting fee is £35. Our pet portrait fee is £60. If due this is charged at time of booking. In the unlikely event that we have to cancel a sitting for you we limit our liability to the return of all monies prepaid. If you fail to turn up to a booked sitting without telling us any vouchers, deposits or deals that have been purchased or won will be forfeit. We also offer Free Portrait Sittings. Maximum of one free sitting is offered per family in any six month period. A free sitting can be upgraded to a pet portrait for £25, payable at time of booking. At busy times of year we may charge a deposit at time of booking, this will be offset against your order, deposits are lost if you do not attend. We reserve the right to change or charge sitting fees at any time, this will be done at time of booking. We offer a range of vouchers for family portraits. If the voucher is for a specific item such as prints of various sizes or a frame then that is what must be chosen. Print sizes quoted are up to that print size, smaller prints may be ordered but no change or alternative will be given for the difference. Vouchers for a cash value must be spent on the day of your sitting. No change will be given. Your voucher is only valid on the day of your sitting, you must decide your print choice or choices during your viewing. Please note all sittings are subject to availability. If we do not have availability before your vouchers expiry date we will try to extend the deadline by which it can be used. So please book early to avoid disappointment. No cash alternative will be offered. We will consider out of date vouchers for a sitting however an additional purchase equivalent to half the voucher value but not less than £34 must be made. Refunds can not be given on vouchers purchased. Goods and services paid for in advance. Goods and services paid for in advance can not be cancelled or refunded. Services such as photographic courses must be used within the time window specified. If you do not wish to use all your sessions they are transferable to another person under the same terms they were purchased. Free Portrait Vouchers for Charities and Schools. We give a number of vouchers to schools and charities in the year to aid their fundraising activities. These are normally for a Free Sitting plus an 8”x10” print. Each one entitles the bearer to a free family portrait sitting including a free 8x10 inch print of their choice and is valid until a set date shown on the voucher. The normal price for this in our studio is currently £34. The voucher must be quoted when booking and brought along on the day. Please note a maximum of one voucher may be used per family in any six month period. Only one voucher may be used per sitting. Print sizes quoted are up to that print size, smaller prints may be ordered but no change or alternative will be given for the difference. If you have more than one voucher they are transferable to other friends or family. So please book early to avoid disappointment. No cash alternative will be offered. We will consider out of date vouchers for a sitting and an 8x10 print subject to availability and a minimum purchase of £34. One a Month for the Year. This promotion is aimed at infants and children and is designed to show how they change through a twelve month period. A fee is charged at or before your first session. This entitles you to one sitting per calendar month within a twelve month period. All sessions must be booked in advance. From each sitting you attend you are entitled to one 4”x6” print from that session of the child for which the session was booked. The print can be colour or B&W, additional edits will incur a fee. Sessions missed forfeit the print from that session. It is the customer’s responsibility to book their sessions. Additional friends and family may join in the sessions but prints of groups above and beyond the child alone are outside of the deal and if required are charged at our standard portrait photo rate at the time. You may either pick your favourite print at each session and take it away, or wait until the end to make your selection. You need to do one or other and not a mix of these two options. Once a print is selected and printed it can not be returned for a refund unless there is a fault with the print, or you feel the print does not match a sample shown. left the shop it can not be returned for refund or exchange. Through out the year we may run short term promotions or put together packages specific to a customers needs. In general the terms stated in this document will apply. If you are uncertain which terms and conditions relate to these please ask for confirmation in writing from a member of staff. We endeavour to produce passport and visa photographs for any requirement however with changing rules we can not guarantee that they will always be accepted. For non standard requirements (non EU) please ensure you have the required documentation and information with you. Increasingly Post Office check and send services seem to utilise tighter restrictions than the UK passport office. In the unlikely event, we will always reshoot any photographs rejected by UK passport office. In the event of photographs being rejected by any agency we limit our liability to the refund of monies prepaid for the photograph taken. If there is a fault it must be returned and the same print will be reproduced for you. We advise customers to check all prints before leaving the shop as once a print has left the shop it can not be returned for refund or exchange. If the image requires reworking this must be stated in writing on the order. It is our company policy not to remove marks or blemishes from photographs unless requested. If the order is placed in the studio please check this information is on your paperwork. If ordered online please add the additional working required in the additional information, expanding in an email if required. Additional charges may be made for reworking. On the day of your shoot we will offer a range of special offers and discounts. These currently include frame packages and reductions on additional copies of the same image. These offers are only available during your original viewing time and will not be available if you come back another time. We may use your images in our studio as samples for others to see or on fliers etc. Please inform our photographer if you do not want your images used in this way. We will not permit the use of such images by third parties in any way. Clients are responsible for ensuring their images are at an appropriate resolution for printing. If unsure we will be happy to advise you prior to printing. All images printed must be paid for. It is the customer’s responsibility to ensure they have the right to reproduce images. We are unable to produce copies of copyright images. Please speak to the original photographer. They may be able to produce a letter giving us permission. All prints ordered on our Kiosk must be paid for, it is the customer's responsibility to ensure the quality of their images. Please ask for advice if unsure prior to printing. Turnaround of Prints, Canvases etc. Depending on the services offered we will advise you when they will be ready. In the unlikely event of machine issues these times may not always be achievable. If we are unable to produce your images in the time stated you may cancel any part of your order that has not already been completed. If you do not wish to do this we will produce the order as quickly as possible at the original price stated. In the unlikely event of machine or stock issues these times may not always be achievable. If we are unable to produce your frame in the time stated you may cancel any part of your order that has not already been completed. If you do not wish to do this we will produce the order as quickly as possible at the original price stated. The deposit secures the time and services of the photographer for the wedding and is a non-refundable or transferable in the event of cancellation, it being agreed loss suffered by the photographer due to cancellation. Cancellation less than 16 weeks before the wedding will result in 50% payment due; 8 weeks before wedding will result in the payment in full. All cancellations must be in writing. Weddings that are postponed to a later date will retain the fee as long as the photographer can re-schedule for the new date and time. Following payment on the deposit, balance of fees due are to be paid: 100% 7 days prior to the wedding. No photographs will be delivered until all payments have been paid in full. Payments for additional images is to be made when they are ordered. The photographer/s may display any photographs in this contract on his/her, website, portfolio, literature, display areas, exhibitions, competitions, advertising or slideshows. All image sizes are nominal. The photographer/s will provide a pleasing colour balance but cannot guarantee exact colour matching owing to anomalous reflectance caused by a combination of certain dyes and materials especially man-made fibres. It is sometimes impossible to record on film or digitally the exact colour as seen to the human eye. All reorders shall be treated as an extension of this contract and no responsibility for error will be accepted unless orders are given wrong. Wedding albums or vouchers for albums included in your package must be redeemed within six months of you receiving your proofs. Redemption is viewed at the start of the design process once you have selected your images and album style. Prior to production of your album a sample will be shown to you. This proof must be either agreed within 28 days or you are welcome to make any changes at this stage. Once a final sample has been agreed any balance must be paid or your album will be produced but no further changes would be made. Any images or copies of images whether stored digitally or otherwise and any computer programme including any source or object code, computer files or printed documentation relating to such images are protected by the Copyright and Design Act 1988 it is contrary to the Act to copy or allow to be copied photographically/electronically or by any other means an images created as part of this contract without the permission of The Photographer/s in writing. The Photographer/s shall be granted artistic license in relation to the poses photographed and the locations used. The photographers judgment regarding the locations/poses and number of images not be possible to capture all the images requested. In the unlikely event of the assigned photographer being unable to attend your wedding due to unforeseen circumstances, we reserve the right to appoint another photographer to attend your wedding on our behalf to undertake the wedding photography to his/her best ability. In the unlikely event of a total photographic failure or cancellation of this contract by either party or in any other circumstance the liability of one part to the other shall be limited to the total value of the contract. Neither party shall be liable for indirect or consequential loss. The Client may cancel this contract at any time by giving written notice to the Photographer/s but in doing so shall be forfeit any monies paid. Cancellation less than 16 weeks before the wedding will result in 50% payment being due. Cancellation less than 8 weeks before the wedding will result in the payment in full. Negatives/digital files remain the property of The Photographers. Should the photographer notice that a member of the wedding party or guest has been seen to blink, the photograph will be taken again but it is impossible to guarantee to see all of them. Any complaints should first be raised by the client with the photographer/s in writing within 21 days from the date of receipt of images. In the unlikely event of an unresolved complaint the client may request third party mediation that is agreeable to both parties but only on the basis that its decision shall be final and binding upon both parties. If you notice a frame to be damaged at time of purchase this should be brought to our attention immediately, and within seven days. It must be returned to us for inspection. We will sort a replacement frame out as soon as possible. Digital images can not be returned or refunded once they have been collected or transmitted unless there is a fault with the file or you feel the file does not match a sample shown. Bespoke Frames and orders for personalised or customer-specific goods, including portraiture. Such orders can not be cancelled once agreed. An order is deemed to be agreed once the payment in full or a deposit is placed on the order. If you are unable to make a time for any reason PLEASE let us know as soon as possible. By letting us know you can not make it you save both the photographers time and allow another client the opportunity of the time slot you have booked. Whilst we take every care with customer’s originals, we limit our liability on all customers’ items to refund all monies pre-paid. Items are accepted for framing, copying or reworking etc. on the basis that they have zero value. It is therefore recommended that customers take out their own insurance on items of high value. We would bring to customer’s attention to the fact that there is increased risk of damage to items where flat images are to be dry-mounted, cut or laminated or canvases are to be stretched. No member of staff has the right to accept goods as being at a higher value than their material cost. (In that a painting is worth the cost of the canvas and the paint). Informing staff of an items value does not change the fact that it is accepted into our care at zero value. If you wish us to take on the liability of goods left in our care, an independent valuation certificate is required. We will then confirm in writing whether we accept this value and a non-returnable charge will be levied of not less than 50% of the value. It is our intention to store your images either on film or digitally indefinitely. However due to the nature of such storage we can not promise to hold images beyond your first order. After your first order is completed we are no longer beholden to you to produce any further images, this includes portraiture, weddings, commercial work and all other photography. Also digital reworks, design work and scanning. In the unlikely event of your images being destroyed or unavailable prior to us being able to produce your first order we limit our liability to either reshooting or refunding all monies prepaid, which ever option is the lesser. Photographs should not be displayed in direct sunlight, whilst the processes we use are designed to give long life to your prints sunlight can degrade any printed image. Photographs displayed in conservatories etc will be subject to fading. If you find your photographs damaged due to sun bleaching, we will, if the original source is available produce a new print for 50% of the current market value, this will only be available once for any image. Captured Moment retains the copyright on all images supplied. Additional prints or the production of digital copies must be done by Captured Moment and only by Captured Moment. The purchase of a print does not give the right for it to be copied, reproduced, edited or transmitted in any way including websites, prints, social media or for personal or commercial gain use. Works by Captured Moment must never be passed off as the work of other photographers or individuals. Where digital files are sold to the client they are sold with reproduction rights which allow the production of prints and for use online and other commercial purposes. Works by Captured Moment must never be passed off as the work of other photographers or individuals. If uncertain that the reproduction rights you have purchased cover your requirement please contact Captured Moment in writing before use and ensure you receive a written response before usage. (whether or not the Client is acting for a third party). 2. (a) The entire copyright in the pictures is retained by Captured Moment at all times throughout the world. (b) Captured Moment supplies the technical and artistic ability to illustrate an idea photographically, and sells the right to reproduce those pictures in a given context. No property or copyright in any pictures shall pass to the Client whether on its submission or on Captured Moment's grant of reproduction rights in respect thereof. reached with Captured Moment before the pictures are used for a different purpose or after the licence to use has expired. (b) Reproduction rights are not issued exclusively to the Client except when specified on the invoice. (d) Any reproduction rights granted are by way of licence and no partial or other assignment of copyright shall be implied. (e) Captured Moment reserves the right to refuse to supply or grant a reproduction licence to a third party when requested to do so by the Client. available to the public; exhibition within the Client's premises; editorial use in the Client's intranet site. media in an editorial context where no fee has been paid to guarantee publication. (c) Specified Use Only: The right to use the pictures once only for the purpose as described on the invoice. is not returned within four weeks of the date for return then Captured Moment may in his sole discretion presume it to be lost. value of the pictures delivered. Force Majeure, including acts of God, fires, floods, explosions, riots, wars, hurricane, sabotage terrorism, vandalism. accident, restraint of government, governmental acts, injunctions, labour strikes, other than those of Seller or its suppliers, that prevent Seller from furnishing the materials or equipment, and other like events that are beyond the reasonable anticipation and control of the Party affected thereby, despite such Party's reasonable efforts to prevent, avoid, delay, or mitigate the effect of such acts, events or occurrences, and which events or the effects thereof are not attributable to a Party's failure to perform its obligations under this Agreement.